Online tourism is booming in China. In 2013, revenue from online tourism reached 2.85 trillion yuan, accounting for 7.7% of total spending. This percentage is expected to move to 13.2% in 2016 according to a study from iResearch. Qunar.com, Ctrip and eLong are platforms that are dominating the market. With these platforms, it has become very simple for the Chinese Internet users, to plan and book their travel online. According to a report by the International Federation of tourist cities (WTCF), over 98 million Chinese tourists traveled outside their borders in 2013. According to the same report, more than half of the visitors belonged to the post-80’s generation. The Chinese internet is overcrowding with information for prospective Chinese travelers. Over 90% of Chinese Internet users have at least one account on social networks. It is therefore natural that the Chinese will turn to other Internet users to search for information. They may for example learn about travel forums in China Tuniu and Baidu Tieba. In fact about 80% of Chinese travelers will become active after their journey, by posting photos or videos on social networks, or by writting a blog. The feedbacks from trips are numerous, especially on the microblogging platform Weibo. It is therefore important for an e-tourism actor to be present on the Chinese Internet, and not just through its website. Official accounts on popular Chinese social networks like Weibo and WeChat are essential. Indeed the Chinese Internet users are very open to conversations on microblogging platforms. They pay attention to publications on social networks based on their interests, and follow the news from the leaders in their chosen field. Which is particularly interesting for the actors of e-tourism because approaching the opinion leaders in the tourism sector will help them to promote a destination, a hotel or an agency. A platform for online reservation must be complete to please the Chinese Internet users. It must be a reliable source of information, offering reservation services and have many consumer reviews. This will of course be accompanied with online booking assistance services, and all the above on an easy to use web and mobile sites. 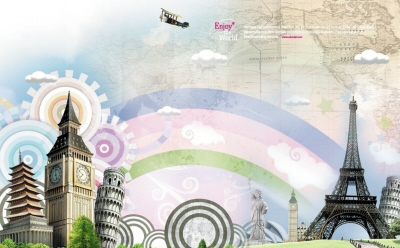 Qunar.com, Ctrip and eLong are the most popular platforms in the field of Chinese e-tourism. According to a study signed by iResearch, the mobile application of Qunar, the online travel company, was the most visited from April to June 2014, with 2 million daily users in June. Qunar’s total revenues for the second quarter of 2014 were $ 64.5 million. Qunar.com, is this year’s most successful online tourism company, far ahead of its competitors. 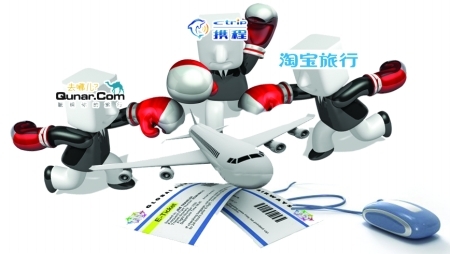 Ctrip had a huge success very early by providing low prices, which allowed it to become one of the market leaders. The quality of its services and hotels online evaluation system allowed it to stay in the top three of the big names of Chinese e-tourism. The Expedia subsidiary in China, elong has long occupied the second place but has declined since. Its less competitive offers and lack of marketing investments over competitors are involved. To succeed, the actors of e-tourism in China have an interest in being ultra-present on Baidu and in vogue Chinese social networks. Working on your Baidu SEO and get closer to opinion leaders so that they promote their products on social networks is vital. You should do a test, Chinesetouristagency. Everything the same, except for name, one with your picture or someone else–but a man, one with a picture of pretty young lady of your dreams, then one with a less attractive woman. Or whatever you choose–just suggesting. Compare the responses you obtain, versus Lisa’s. Of course there may be an ennui effect, so you may have to think up a revised line, like “I luv u connect w me!” or, “I want to learn from you!” or some variation thereof. Good article, but I don’t agree that foreign companies wanting to attract Chinese guests should shift their focus away from building relationships with Chinese agents. – that Chinese travelers say that they prefer to travel independently does not mean that they have not arranged their tour through a travel agency. Most still do, for many reasons (visa help, travel contract, tour plan design etc.). It just means that they prefer to travel in small, private groups. – China is a massive market. You need local agents selling your product if you want to reach a broader audience. – we must not blindly look at the numbers and conclude that the market right now is a 38/62 (or 30/70) split between group and individual travelers.This just means that – according to this survey – the current outbound Chinese traveler mainly travels independently. However since the central, southern and western regions of China are still a huge untapped pool of potential travelers, and with rising purchasing power in these areas, the potential of group travel is still larger than individual travel – at least for some years to come. Yes, it is changing, but beware that overlooking the group market might be a mistake.